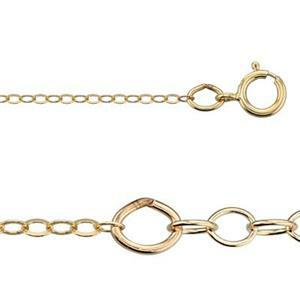 Adjustable gold filled necklace chain ranges from 16 to 18 inches in length. I had a customer that requested an adjustable gold filled chain and this worked out perfectly. A great price and quality chain. Slightly delicate but that is to be expected.